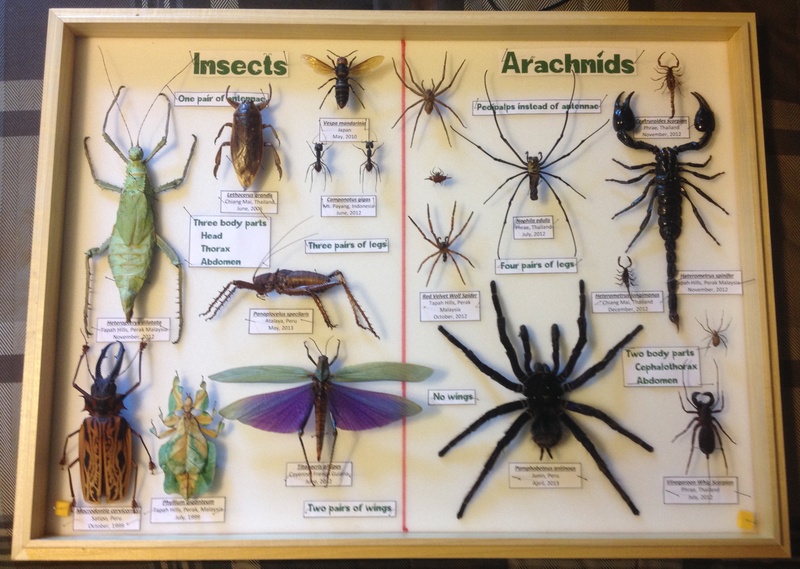 Though I am no longer an insect collector, I do from time to time put displays together, either for friends or to be used in my insect presentations at schools and libraries (for more information please click HERE). These are just a sampling of some of the things I have done. As additional displays are completed I will add to this blog. To get an idea of scale, I am using Presidential Display Cases that measure 24″ x 18″ x 2.5″. In 2013 I decided to totally revamp my insect presentations featuring all new displays to bring into the classroom. 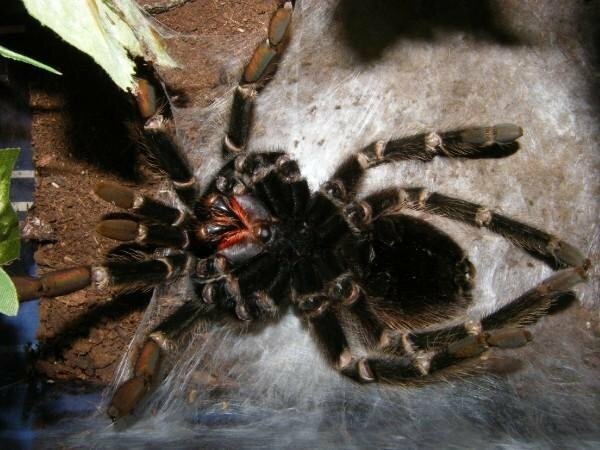 This was the first one that I did, featuring a side-by-side comparison of insects and arachnids. I am very happy with this display even though it is not jam-packed with specimens. It does feature a good assortment though of some of the largest species of both insects and arachnids, including one of the largest scorpion specimens I have ever seen!